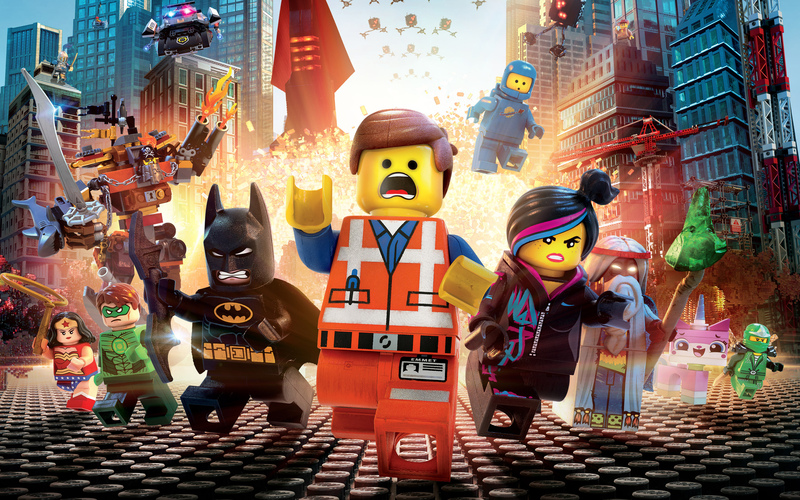 Where the Toy Story movies had a plot peppered with gags and references, the Lego movie is almost totally random. There is a thin story about a lego being special and trying to save his city from President Business but it really is delightfully scattered. First of all, the look is dazzling. I haven’t seen any of the previous Lego cartoons, but I am told they are a little more fluid than this one. Every piece of lego can be seen and works together. so if you see a wave or crash it is full of little lego pieces. It almost looks like stop motion but it isn’t. Then the writers take the visual delight and add humor. Every gag works and it is so rich in material. For instance, a recurring joke with Green Lantern pestering Superman is really funny but you could totally miss it. The Star Wars bit made me laugh the hardest and it is probably a 30 second joke. Abraham Lincoln, Shaquille Oneal, Dumbledore, Indiana Jones and of course Batman all appear (to name a few) and are all funny. It also has gags that will entertain both girls and boys- something children’s movies are becoming better at each year. Hurray! Little kids, tweens and teens will all like it, so you can take the whole family and enjoy together. There is also none of that annoying double entendre, wink-wink humor for the adults that we got in the Shrek movies. I hate that. Finally, like the Toy Story movies, Wall-e and Up, The Lego Movie takes a surprising emotional turn in Act 3 that is totally earned. I won’t give much away but it involves the seemingly impossible desire of most kids to share his or her play with their parents. It’s as if a child is trying to explain Neverland to a grown up, and they get nowhere but then a tiny memory is recalled by the adult that helps the two bond. The music and all the voice work is great. You’ll be singing ‘everything is awesome’ under your breath for weeks! At 100 minutes it is also not that long, and I did not see it in 3D, but I bet it would be cool in that format (my strabismus makes 3D rarely worth it. Sigh…). Anyway, if you’ve been wondering if it is worthy of the hype,it is. I loved it and want to see it again. I wish I lived by my nieces because I would love to take them. I kind of want them to see it just so we can talk about it together. Go check it out and let me know what you think! Have any of you seen it? What did you think?